Single Sign-On for OpenCart is a professional extension that automatically signs users in as they browse between multiple and independent shops in your network. Take away the need for your users to re-enter their authentication credentials when they switch from one of your shops to another. Single Sign-On can be installed within minutes, is 100% compliant with all European and U.S. data protection laws and seamlessly integrates into your OpenCart short. 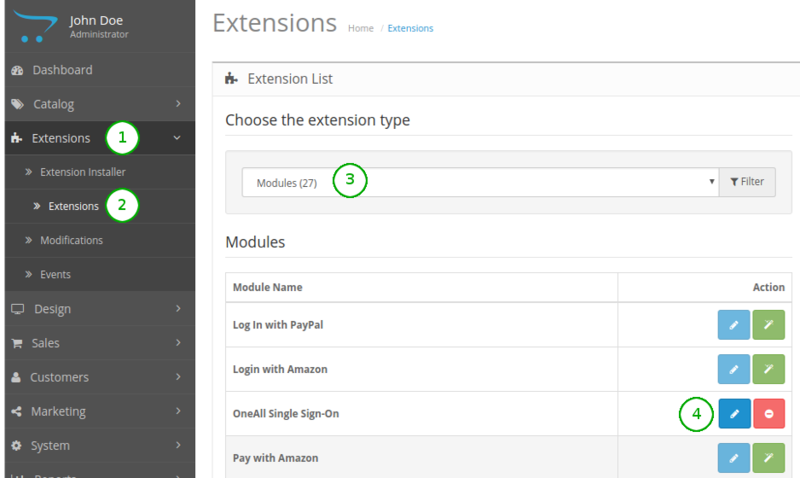 The plugin can be combined with our other SSO plugins like per example for Magento or WordPress. 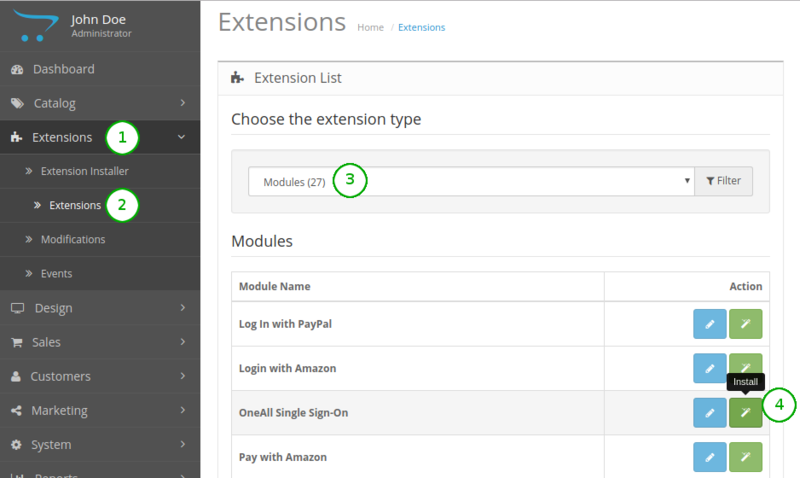 Do not forget to install the extension in all shops that you want to enable SSO for. All shops must use the same OneAll site settings!